LibX is a browser add-on you can download for Firefox and Google Chrome. LibX will give you easier access to IZTECH Library Catalog and other resources from anywhere. LibX is a free, open source scholars' extension for the Firefox and Google Chrome ,Internet Explorer browsers that lets people use services offered by their library. Users can search their library catalog(s) and databases through a search bar or through a context menu. The context menu is adaptive (changing depending on what the user selected) and configurable (allowing the user to include any configured resource). LibX supports the catalogs of all major vendors. 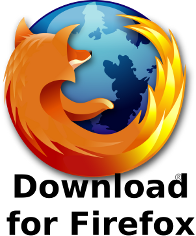 In addition, any resource that can be searched using an http GET request can be included, similar to Firefox's smart keywords. Resources can also be accessed using auto-generated links for DOIs, ISBNs, ISSNs, and PMIDs. Links are also placed in specific pages, such as book vendor sites or book review sites. After your installation is complete, you can see IZTECH Logo on the right of the top page.